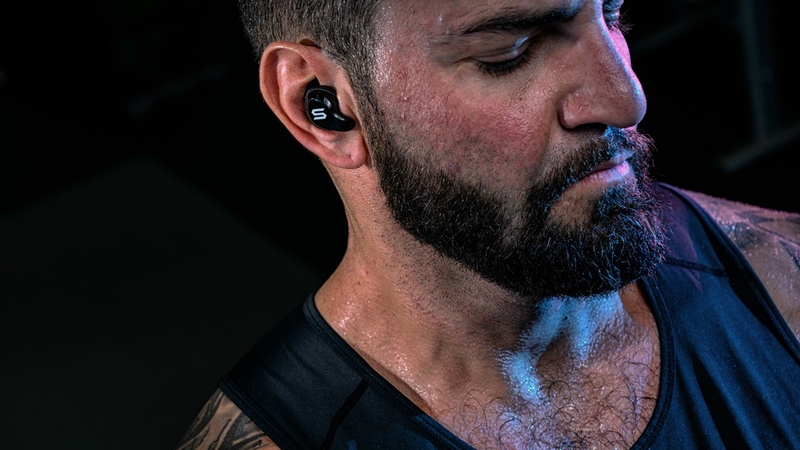 Soul Electronics is building on its impressive Run Free Pro Bio smart running headphones by bringing its real-time coaching skills to a pair of truly wireless earbuds. The Soul Blade features the same BiomechEngine technology that's able to collect a host of running-specific metrics including cadence, symmetry, step length and balance. With that information it is able to offer advice in real time on your running technique. In addition to the advanced real-time coaching features, there's a heart rate monitor letting you better measure workout effort levels from your ears. We've have already seen in-ear HR monitors crop up in sports headphones from the likes of Jabra, Bose and Bragi. The iOS and Android-friendly buds feature an IPX7 weatherproof design giving you added protection sweat and water. There's also a Transparent Audio Mode, so you don't block out all of that ambient noise when you're working out in areas that you need to be more aware of your surroundings. Soul Electronics says you can expect 96 hours of total playtime with the accompanying charging case using USB-Type-C connection to unlock fast charging. The Soul Blade buds are hitting Indiegogo in the next few months with Soul Electronics aiming to raise $1 million before making them available for anyone to pre-order. We spent a fair amount of time with the Run Free Bio wired headphones and liked them enough to shortlist the hearable at last year's Wareable Tech Awards. So we have high hopes for these wireless earbuds that pack that same innovative tech with the added bonus of a heart rate monitor.